Think you’ve got Birmingham’s art attractions sussed? Think again, says BA student Maysie Chandler! We all know about the Barber, the MAC, the IKON and the BMAG, but Birmingham has many more art historical attractions than most students know about. The National Trust manages several historical attractions in and around the Birmingham area. Think that the only paintings by Reynolds in Birmingham reside in the Barber and BMAG? Think again. National Trust properties hold hidden gems, concealed by the stigma that ‘only old people visit the National Trust’! If you haven’t yet explored what the National Trust in Birmingham has to offer, I very much hope that the following article inspires you. For those of you not fortunate enough to have a car to hand, the Birmingham Back to Backs are probably the easiest for you to reach. 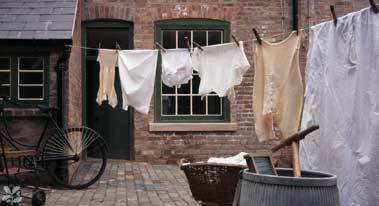 They provide an insight into the life of ordinary Brummies from the 1800s through to the 1970s.The houses are arranged in a way that makes you feel as though their former occupants could return at any moment. Note that you have to pre book a guided tour to look around them, but a visit to the Back to Backs are well worth filling an idle afternoon with. 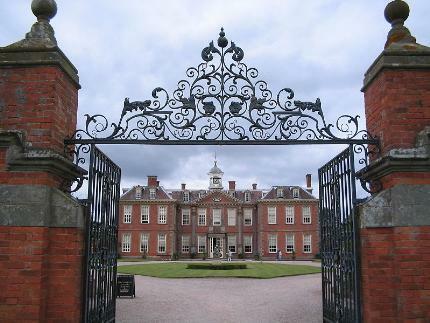 If you have a car, Hanbury Hall and Gardens is only a 25 minute drive away. 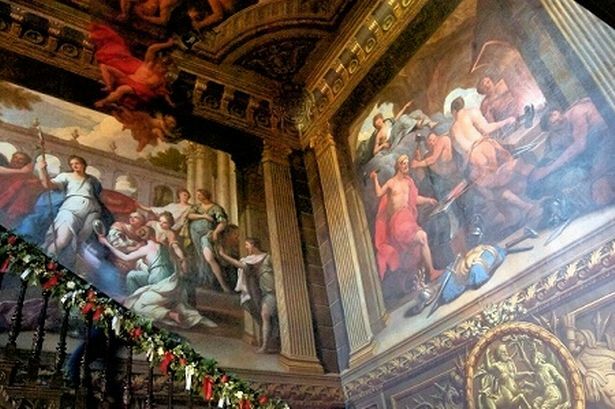 A stunning 18th century country estate owned by the Vernon family for nearly two centuries, the most notable thing about this property is the Sir James Thornhill murals which fill the great stairwell. Thornhill is best known for his work on the cupola of St Paul’s Cathedral but his murals at Hanbury provide a rare opportunity to come face to face with the work of one of the greatest large-scale painters of his generation. As well as historical paintings, the ‘long gallery’ at Hanbury regularly hosts exhibitions by local artists; if you find yourself here, the gallery is well worth investigation. The Hanbury gardens are quite as beautiful as the house itself. If it is a fairly decent day, I highly recommend that you take a picnic with you and enjoy being in the countryside, just 30 minutes away from the heart of Birmingham! Also, do not forget to have a cream tea in the original kitchen which has been converted into the tea rooms. No visit to the National trust is complete without a cream tea! 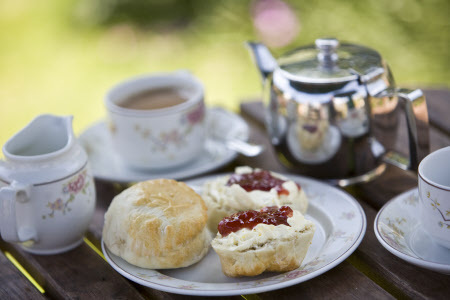 Cream Teas are a must at National Trust properties! 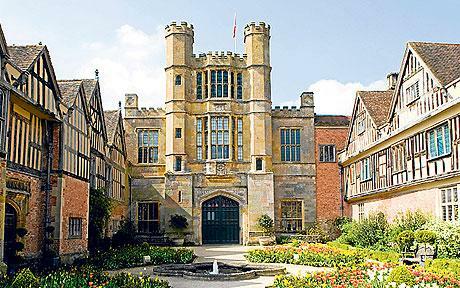 Coughton Court is a similar distance away from Birmingham centre as Hanbury. A beautiful Tudor style mansion, it tells the history of the plight of the Catholics and their battle for the freedom to practise their religion. The Throckmortons who have owned the property for 600 years, were leaders in a dangerous age, helping to bring about Catholic emancipation in the 19th century. Highlights of the house include a priest hole in which several Catholic priests escaped the soldiers of Henry VIII, and the dress in which Mary Queen of Scots was beheaded. The house remains the home of the Throckmorton family, only recently being entrusted to the National Trust. It is a rare property in that it has retained its original interior decoration along with the original family furniture. At Coughton you will find countless objects and paintings which are steeped in history and well worth investigation if you are feeling stuck for a dissertation subject! A little further a-field, perhaps a 40 minute drive is Shugborough Estate, the ancestral home to the Earls of Lichfield. The estate survives in its entirety, and boasts a working farm and a small herd of highland cattle. On a fine day you will find the gardeners and volunteers in full costume at work in the servants’ quarters and walled garden. If you dare to talk to them, they will answer in character and tell you about their day-to-day life at Shugborough and exactly what they think of their master! 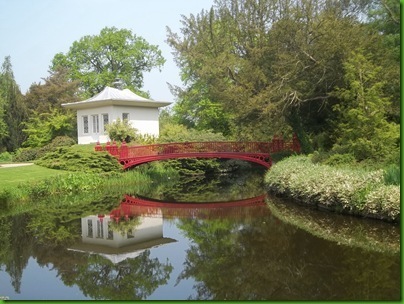 Again you will find a wealth of historical artefacts and paintings, however it has to be said that the grounds are the highlight of a visit to Shugborough, so choose one of our rare sunny days to go! The 900-acre grounds are peppered with monuments and statues with all sorts of unusual and picturesque picnic spots to be found! Take my word for it, on a sunny day this is the ideal place to visit! The National Trust put on a number of events throughout the summer season. 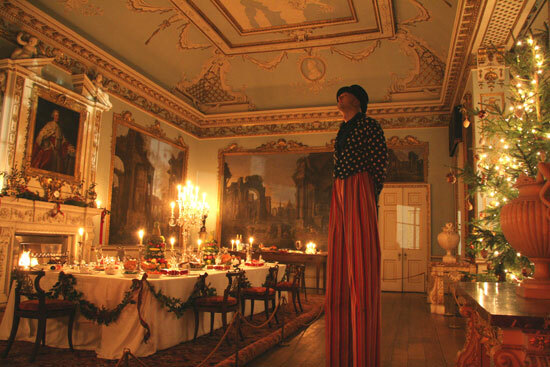 From Regency balls where you can go to a Pride and Prejudice-style dance in full period costume, to open air theatre performances, it is well worth checking what’s happening at your local National Trust properties over the next few months. There are also many opportunities for volunteering and work experience with the National Trust. From room guiding to helping out with the children’s activities, it is a brilliant way to gain experience within the heritage sector as well as being a thoroughly enjoyable pass time. I volunteer at Hanbury Hall and I have had the opportunity do everything from room guiding, in which I talk to visitors about the history of the house, to family activity days running around the gardens helping children with their nature trails. If you are interested in a career in heritage or education, or simply want something with which to fill in the summer months, I highly recommend volunteering with the National trust. There is much more to Birmingham’s arts sector than the MAC, BMAG and IKON, it just takes a bit of exploring to discover it! I really hope that this post has given you some ideas for visits, or inspired you to explore your local National Trust attractions. Below is a list of some more of my top historic buildings in and around Birmingham to visit. Not all are National Trust properties, and most of them offer discounts to students.